Allison Wood partners with solos and firms to provide ethics counsel. She will teach “Legal Ethics” at Solo Practice University®. Allison L. Wood, is the principal of Legal Ethics Consulting, P.C., where she provides preventative ethics counseling; research for ethical inquiries; and disciplinary and malpractice defense. 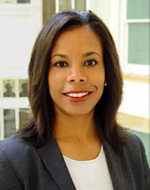 Prior to starting her firm, Ms. Wood served nearly five years as Litigation Counsel with the Illinois Attorney Registration & Disciplinary Commission (“ARDC”), where she investigated and prosecuted cases of attorney misconduct; and handled over 400 ethical inquiries from Illinois attorneys. Ms. Wood also served five years as a Hearing Board Chair for the ARDC where she managed a case load of attorney misconduct cases; and presided over these cases as part of a three member final who made findings of misconduct and recommended sanctions. Ms. Wood has over 20 years of litigation experience which includes representing corporate clients in tort and business litigation; as well as individuals in employment and criminal matters. 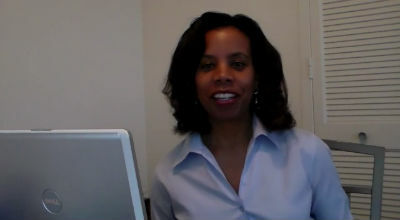 For more than a decade, Ms. Wood has been an adjunct professor and lecturer at the following area law schools: University of Chicago; DePaul University College of Law; and The John Marshall Law School, relating to pre-trial skills, trial skills, and professional responsibility courses. She was admitted to the practice of law in 1987; the Federal Bar in 1989; and the Federal Trial Bar in 1990. She is a member of the Chicago Bar Association’s Editorial Board for the CBA Record; and a member of the CLE Committee for the ABA’s Center for Professional Responsibility. You can follow her on Twitter at @WoodWiseEthics. Managing the Attorney-Client Relationship. The vast majority of disciplinary claims and malpractice claims stem from issues that arise in the attorney-client relationship. Many claims can be avoided with effective and consistent communications with your clients and an understanding of the ethical rules that apply. Learn practical ways you can better manage your relationships with your clients and reduce your risk of becoming the subject of a disciplinary or malpractice claim. Navigating Social Media Ethically. In recent months, disciplinary charges have been brought against attorneys relative to misrepresentations on their websites, statements made on blogs, and most recently, posting a discovery video on YouTube. Learn the ethical traps of using social media and what you can do to avoid them. How to identify and analyze a concurrent conflict. Although it may sound obvious that you can’t represent both parties to a transaction, many attorneys do it anyway and rationalize that they can objectively represent both parties with consent. Don’t rely on your intuition and your gut alone. Learn how to identify a conflict and how to make informed decisions about continued representation when a conflict arises. How to analyze a potential conflict with a former client. Attorneys are always hopeful that Joe Client will give them repeat business after a current matter closes. While you are waiting for Joe to call, you get a call from Joe’s competitor, Bob who has a load of cases he wants to send you. Learn how to analyze conflicts regarding former clients and the duties owed to them when the representation ends. Your duties to the courts. What do you do if your client tells you that he will perjure himself on the witness stand? What if during a hearing, your client makes a misrepresentation to the court? Or, what if your opposing counsel cites a case in his brief for a proposition that the case does not hold? Learn the applicable ethics rules and how to navigate these and other similar issues. Legal fees and reasonableness. If you set your fee to low, your clients may not appreciate the value of your legal services. If you set it to high, there is a fear the client will not retain you. Learn how the ethical rules provide guidelines to assess the reasonableness of your fees and how you can best communicate your fee arrangements to your clients.